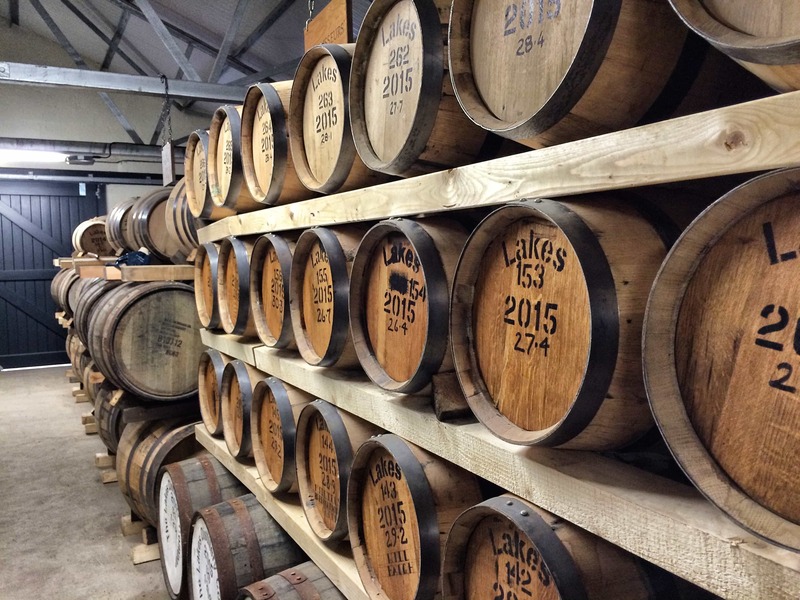 Last summer I visited the Lakes Distillery, in Cumbria, England. It was a fabulous location. 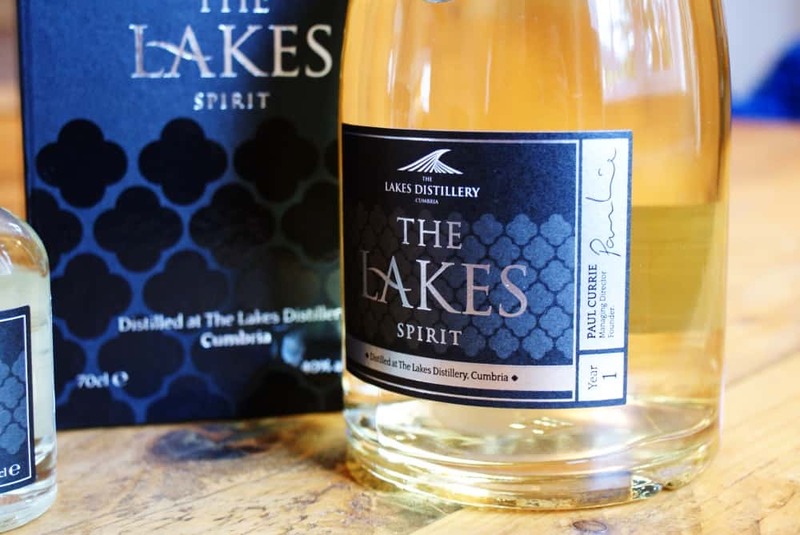 A very English setting, yet being located in the north, surrounded by hills and lakes, it also retained enough of the feeling of a Scottish distillery. Led by Paul Currie and his team, and with over £7 million of investment, old farm dwellings had been transformed into a very attractive site. But how’s the whisky getting on? Although it sells gin and vodka, the only whisky currently being sold by the distillery is The One blended bottling and its variation. That is, with the exception of the distillery’s Founders’ Club (of which I’m a member) whereby you get a bottle and minis each year for the next decade, and members are able see the evolution of the distillery’s character through these vintages. These single malts will be vattings from casks set aside for the club, and it will be fascinating to see this journey. 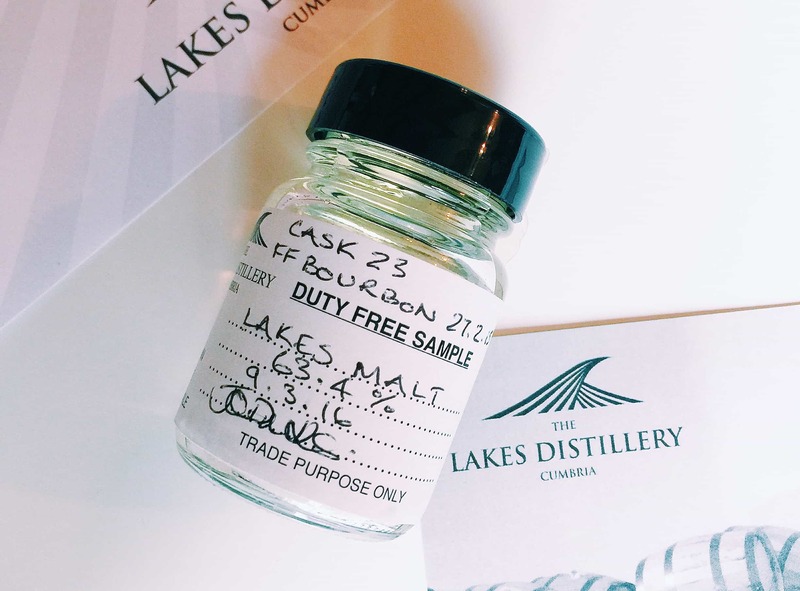 Previously I was able to sample some of the Lakes Distillery’s sherry cask matured spirit, at just a few months old, after lunch with Paul during my visit. But thanks to the folk at the distillery, I’m now able to try this single cask spirit after at the mighty age of one year old – two years from being technically whisky. It was bottled at 63.4% ABV on 27th February 2015, after being matured in a first fill bourbon cask from the Heaven Hill distillery. Colour: pale white wine, leaning towards clear. On the nose: sour cream and freshly churned butter. Settles towards vanilla. Grassy. Hints of dusty barns full of wheat grains. Green tomatoes. A couple of drops of water and, curiously, it seems to enhance may of those same flavours, but perhaps allowing for some more vanilla to show. Pastry. Lemon meringue pie. Yeasty. In the mouth: a very velvety texture in the mouth. Vanilla custard. Again – following from the nose, it’s grassy and buttery for the most part, with a touch of olive oil. Very short finish with regards to the flavours, but there’s a lingering heat from the high ABV that goes on. Despite the strength, but it’s actually more approachable and drinkable you might think. Drops of water bring out a touch of fruit: tart blackcurrants and soft peaches. Much more of a lingering flavour with water. It’s good stuff, people – what else can I add? You can’t buy it. And it isn’t whisky yet. 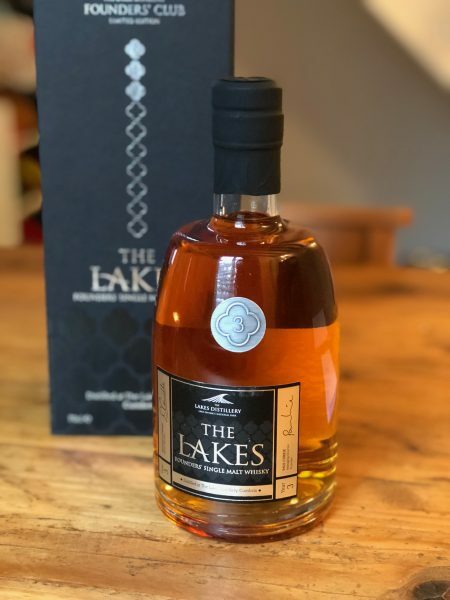 It’s also nice to try a new distillery’s offering that comes from something gentle like a bourbon cask, where you can really assess what’s going on; and it isn’t masked by virgin oak or having gone straight into wine casks. The sample I previously tried at four months old had been matured in a sherry cask, but the common character shared with this sample is mainly that luscious velvety texture. 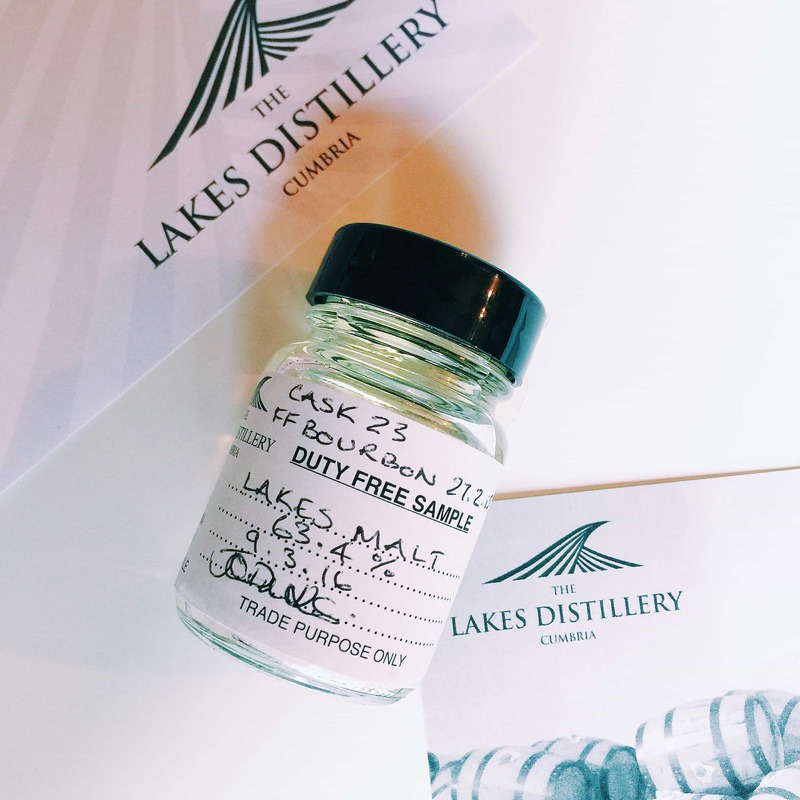 It’s inherently silky at cask strength, which I think makes for an exciting future for the distillery. I’m also very much looking forward to the first of the Founders’ Club offerings. English whisky is looking good at the moment.